The NBA is expanding its global reach with the creation of the Basketball Africa League, commissioner Adam Silver announced on Saturday. The 12-team league is a co-venture of the NBA and FIBA, basketball's world governing body. The league is expected to begin in January 2020. 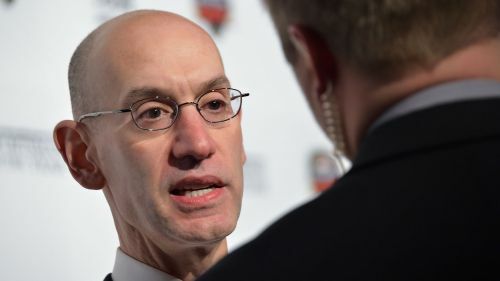 "The Basketball Africa League is an important next step in our continued development of the game of basketball in Africa," Silver said in Charlotte, North Carolina, site of the NBA's All-Star Weekend. "Combined with our other programs on the continent, we are committed to using basketball as an economic engine to create new opportunities in sports, media and technology across Africa." The BAL will be built on the foundation of current club competitions FIBA is organising in Africa, the NBA said, adding qualification tournaments will take place later this year to identify the 12 teams. No more than two teams from the same country will be able to qualify. The BAL expects teams from Angola, Egypt, Kenya, Morocco, Nigeria, Rwanda, Senegal, South Africa and Tunisia to attempt to earn spots. "On FIBA's behalf, it's a huge joy to see our partnership with the NBA enter unchartered territory as we work together for the first time to maximise the potential of professional basketball in Africa," FIBA secretary general Andreas Zagklis said. Thirteen players born in Africa were on opening-night NBA rosters this season. The NBA already has a footprint in Africa with a league office in South Africa, an academy in Senegal and facilities in several other nations. "Having a top-flight professional basketball league in Africa will provide a platform for elite players to showcase their talent and inspire more young boys and girls to play the game," said Amadou Gallo Fall, vice president and managing director for NBA Africa.